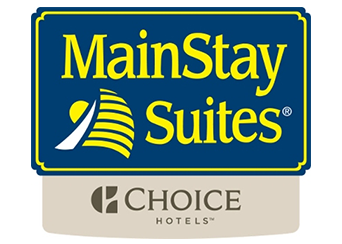 At MainStay Suites Rapid City, our friendly staff and brand new property provide the ultimate setting for extended stays in western South Dakota. From a 24-hour sundries shop to complimentary 24-hour shuttle service, we’ve thought of everything to make your visit to Rapid City as convenient and relaxing as possible. Start your day with a jog in our fitness center, and then reward yourself with a complimentary breakfast featuring a rotating selection of hot items including scrambled eggs, bacon and fresh waffles. Spend the afternoon barbecuing in our outdoor courtyard or researching nearby landmarks using our property-wide Wi-Fi. No day is complete without a dip in our indoor pool, which is heated to the ideal temperature year-round. Evenings are a perfect time to drop by the nearby Reflect Bistro, or you can have their delicious American comfort food delivered directly to your suite. Whether you want to wash clothes in our guest laundry room or need to print a boarding pass in our 24-hour Business Center, you’ll find all the comforts of home at MainStay Suites Rapid City. Note: Our Property Is 100% Smoke Free.